Let’s face it, kids get bored in the car on long road trips. There are only so many DVD’s you can watch or songs you can listen to on your i-pod before you feel like your head is spinning. Here are some games that can entertain your child’s brain so that you don’t have to. 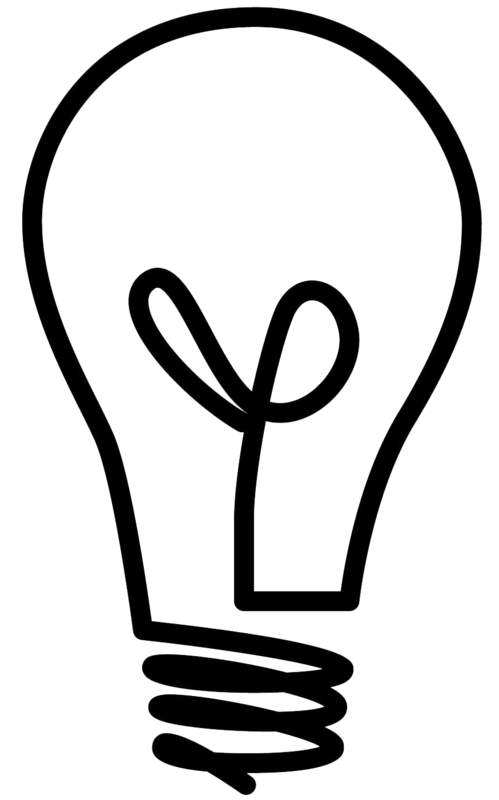 You can make some of your own by drawing pictures or collecting pictures from the internet. Or you can purchase some that I have made for my kids and save yourself the hassle. The following travel games are now available. I am selling 5 games for $5.99. 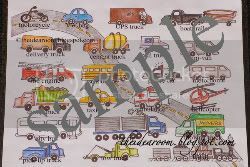 Description: Kids will make tally marks or place stickers over each type of vehicle as it is spotted. The goal is to see how many of each and/or if all can be found. 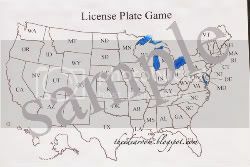 Description: Kids will place stickers on or color in the states as they see a each state license plate. The goal is to see how many of each and/or if all can be found. 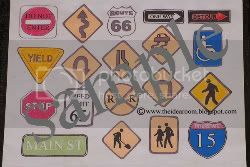 Description: Kids will place a sticker on or tally marks as each road sign is spotted. The goal is to see how many of each sign can be seen. 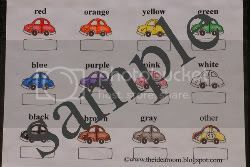 Description: Kids will place tally marks or stickers in the box below each slug bug as they are seen. The goal is to see how many of each color slug bug they can find. Description: Kids will try to see various objects alongside the road ways. For example: cows, horses, roadkill, barns, fences, flags, birds, etc. **All games will be sent to buyer via email. When you purchase your order there will be a spot where you can leave instructions for the seller. Make sure to specify the names of each game you would like to purchase in your instructions, or I will choose for you. As I am a mom and wife first, these will be sent as soon as possible. Usually within 24 hours from the time of purchase. I do try to check my email a few times a day. But sometimes I have a busy day and don’t get to it or we are gone. Please allow 48 hours for delivery…but usually sooner! Each game is pre-colored and simply needs to be printed on a color printer or taken to a copy center to be printed. They will obviously not be laminated, but I strongly suggest you have them laminated so that they can be used over and over again. 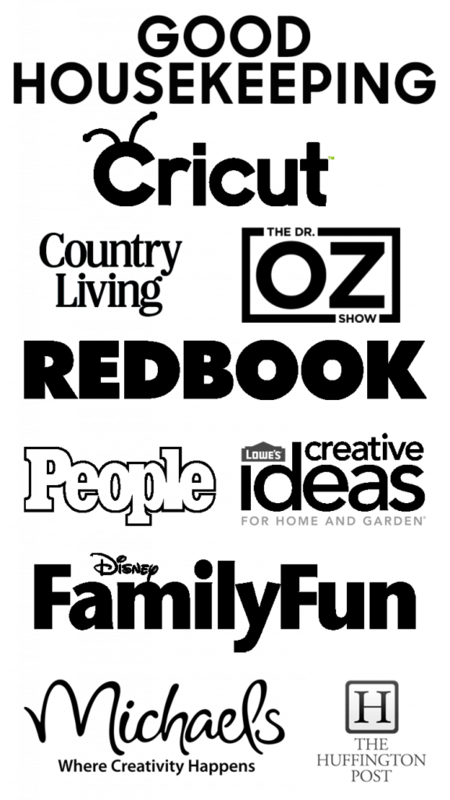 **Please remember that these are copyrighted materials. Please only make enough copies for each child who is living in your home. Please do not make extra copies and hand them out to friends and extended family members. If you know someone who would like some, please send them my way so that they can purchase their own copies. I wanted to buy but your store has different prices than in your blog. I am probably just not doing it right but can you please help? I want to but them for our road trip soon. Jensens…Try it now. I think I have fixed the pricing. I can not check myself because it will not let me buy my own product. Let me know if there are any more problems. Thank you! we used to play a game like that when i was a kid…(long time ago too) colour of cars had a points system, trucks where a 10 etc etc… we never wrote it down though…your charts are excellent …shame though as they wont work here in Australia….perhaps i can adapt it for my grand children for here????? Oh my goodness…these are fantastic. I am so excited to use them on our 6 hour road trip! Thank you so much! Thank you! These are really cute. My kids want to use them now before our trip. We got them and can't wait to use them. They are great. Thank you Thank you! My kids are already using and loving these. Thanks so much! Can't wait to try these out for our upcoming roadtrip! I just ordered these and I am just not sure how to get them I think I just didn't understand. Do you e-mail them to me? 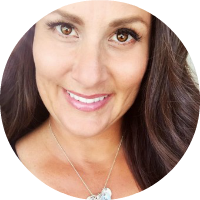 Genny–I have sent them out. Sorry that it may have been a bit confusing! I just ordered and can't wait to use them! What am I saying? I can't wait to get them! i LOVE these games!!! i ordered them right away, but there was no where to specify which ones i wanted. i ordered the 5 for $3 and i assumed you would know that i wanted all 5. thank you!! Hey amy~ i got your message, but still have not received the games. if you are trying to send it to my email it is [email protected]. it is an L not a 1 after shanna. 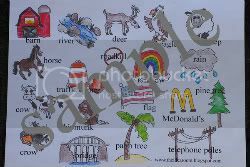 Hi Amy – are these printed on cardstock; are they laminated? Jared and Erin–These are emailed to you as an attachment. It is up to the buyer to print and then laminate them if they wish to do so.